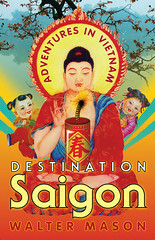 The manifestations of the feminine divine in Vietnam are of special interest to me, and in Destination Saigon I discuss my rather disappointing visit to La Vang in the Central Vietnamese province of Quang Tri. 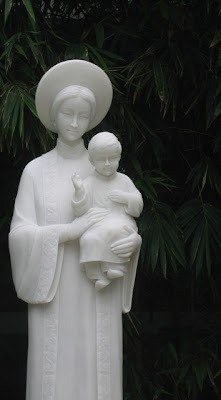 Our Lady of La Vang is a common figure of worship in Catholic churches and homes everywhere in Ho Chi Minh City, and her statues are frequently beautfully rendered in white marble. This apparition of the Virgin is entirely (and appropriately) Vietnamese, dressed in ao dai, and clutching a Vietnamese Christ Child. 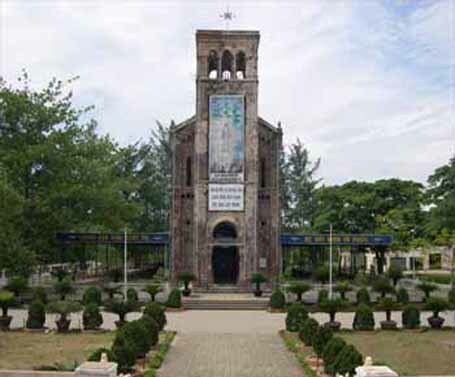 The apparitions of the Virgin at La Vang occured in the 18th century when Catholics in Vietnam experienced religious oppression at the hands of the ruling family. 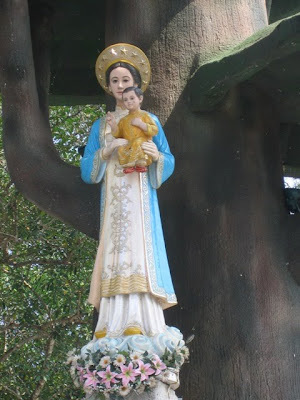 These days overseas Vietnamese Catholic communities make a special cult of Our Lady of La Vang, and supernatural events are said to have occured at a shrine to her in Inala,Brisbane. 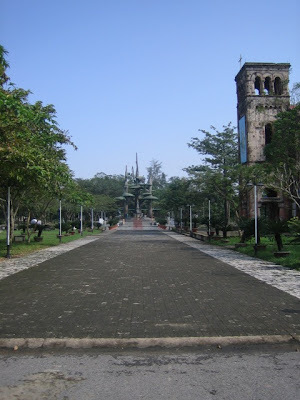 It must be said, however, that La Vang itself is a rather lacklustre spot - the day I was there it was quite deserted, and the grounds and gardens at the shrine, as well as the old church buildings, were poorly kept. It interests me that the Church hasn't seen fit to pay more attention - and spend more money - on such a significant site. Certainly its tourist potential is currently well under-developed. I couldn't even buy a statue of Our Lady at the site, and you all know how much I love statues. 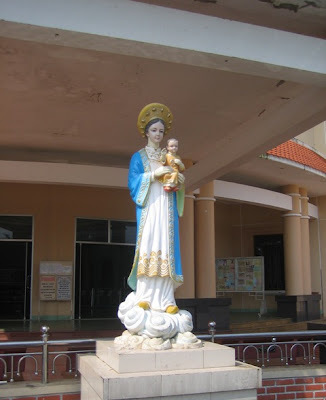 To my mind the nicest shrine to Our Lady of La Vang stands at the Ba Chuong church on Le Van Sy St, in Phu Nhuan, Ho Chi Minh City. In fact, the whole church is extraordinary and quite beautiful, and well worth visiting. I frequent that church and it is truly one of the most beautiful I've been to. I also visited La Vang and while living in Hue I heard that there were certain efforts to keep it underdeveloped (though this could have been hearsay). Looking at pictures prior to the 70s when the area was heavily bombed it did look much more splendid. When I visited they were trying to rebuild the tree replica (I forget what kind) that held special significance in the apparition. Glad to see your write-up about it all though. 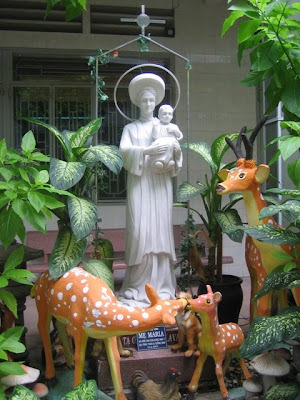 Anon, not sure what you mean by 'original statue' - I'm not aware that there is any one particular holy statue in VN, though I guess at some point someone must have made the 1st image. Would be interested to hear from anyone who knows.